Between my own clunky awkwardness and my children’s lack of filters and my strong-willed spouse, I have ample opportunity to be humiliated on a regular basis. I’ve worked hard—fought tooth and nail, even—to accomplish a very few, small things. Why in the world would I want to cast recognition for these victories aside? Eating humble pie is not my idea of a good time. It’s important to understand that humility and humiliation aren’t the same things. Humility is a desirable virtue that predisposes me to holiness. Praying for humility isn’t asking God to embarrass or dismiss me. Praying for humility is seeking to know the truth of who I am, the truth of Who God is, and the grace to accept these truths. Specifically: I am not God. I need God. I need to be saved. Everything I have, and everything I am comes from God. He alone is the Source. In my life, humility means admitting I’ve gotten in way over my head on a project and need to ask a colleague for help. It means swallowing my pride and apologizing to my husband when I lose my cool over something silly. It means dragging myself to Confession over and over and over again for the same sinful pattern. 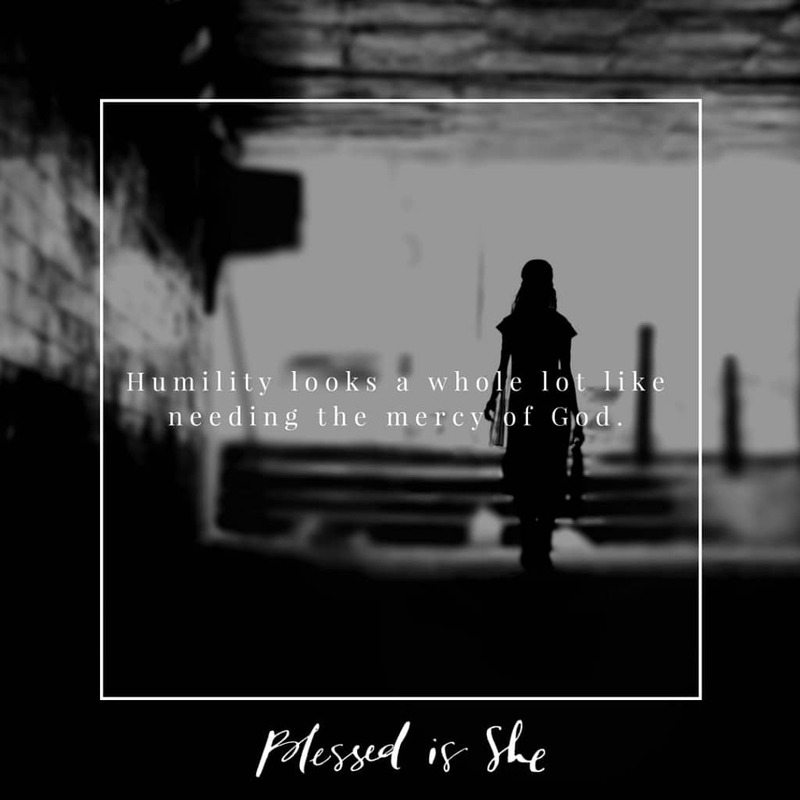 For me, humility looks a whole lot like acknowledging my need for mercy—acknowledging my need for God and the Body of Christ. Because, left to my own devices, I want to do it all myself without relying on others; I want to be right; I don’t want to admit when I’m wrong. I want to feel like I have it all together. Or at least, some of it! But when I grow in humility, I can recognize the truth: that I am a uniquely loved and unrepeatable child of the Most High God with gifts and talents meant to glorify Him. He alone provides everything I need. Everything I have, and everything I am comes from God. He alone is the Source. Consider your skills and talents, sister. Thank God for these gifts! Humbly submit your efforts to your Heavenly Father today, asking Him how you can use them to build up the Kingdom.